• VegTrug - Create a productive mini veg garden on your patio with our sturdy and attractive VegTrug. 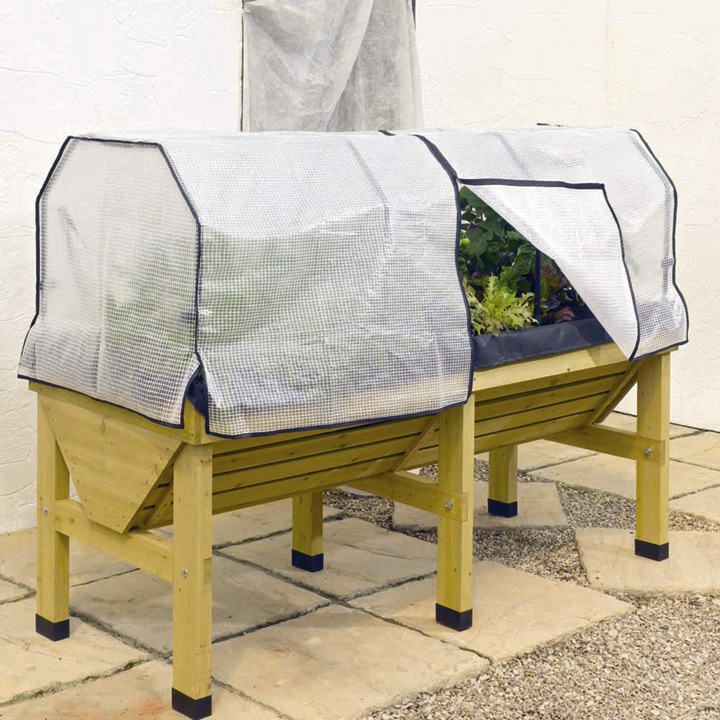 It provides a veg patch at easy working height (ideal for the elderly or wheelchair users), and is V-shaped so takes less filling while still allowing you to grow crops that need deep soil (like carrots). 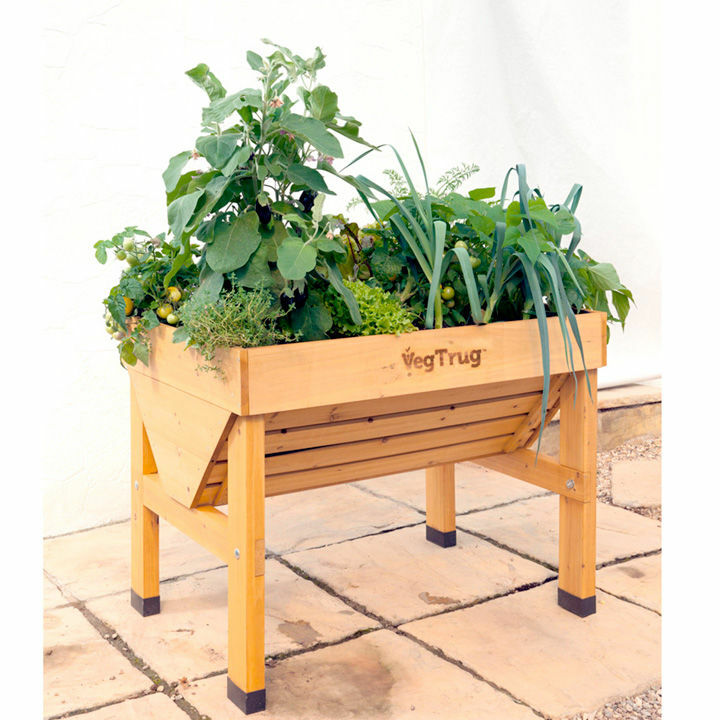 Made from sustainably sourced fir, with plastic feet and an internal membrane to protect the wood, and treated with veg-friendly wood stain. Flat packed for home assembly. 1m (3'3") wide x 76cm (2'6") deep x 80cm (2'7") high. Capacity 210 litres. 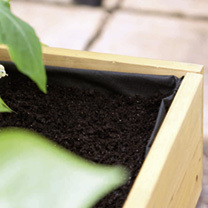 Enhance your VegTrug with a custom-designed frame and cover. A robust black frame with easy push-fit connectors, and fixing brackets, plus 160g reinforced polyethylene cover with velcro straps and easy zip access, which transforms it into a mini greenhouse.